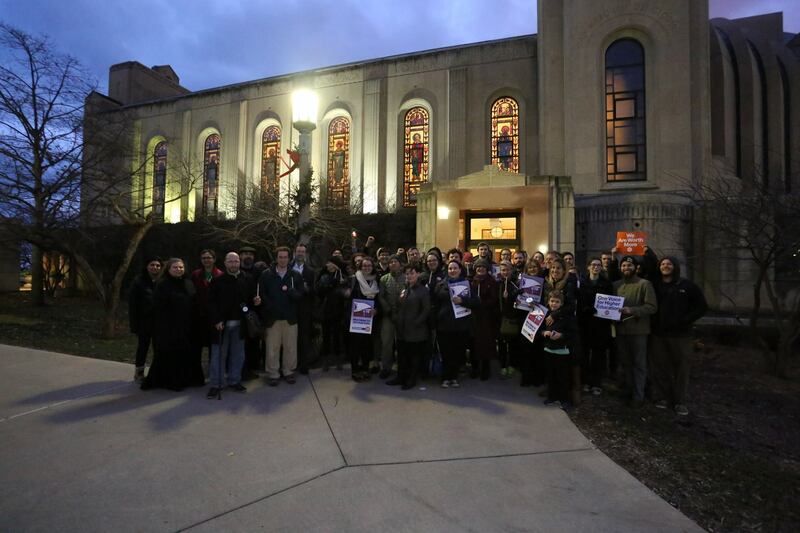 In what may prove to be confirmation of a national trend among part-time or adjunct faculty at U.S. colleges and universities, contingent faculty at Loyola University Chicago voted today to join Local 73 of the Service Employees International Union, becoming the third Chicago group of part-time faculty to unionize with the SEIU in the last two months. Ballots for the group of 326 full-time and part-time faculty within the College of Arts and Sciences were counted this morning at the regional National Labor Relations Board. With a total of 224 out of the 326 eligible faculty members participating, 142 voted to accept union representation with 82 no votes. In an SEIU press release, Alyson Paige Warren, a writing and literature instructor at Loyola University Chicago, said, “Our victory today represents a win for our students, faculty and the entire Loyola University community. Now all faculty will have a say in our working conditions and I’m encouraged by the gains at other schools across the country. Loyola adminstrators released a statement today as well, noting again that the election was to be decided by a majority of the ballots cast, not the number of eligible voters. Speaking on behalf of the university, Thomas Kelly, Senior Vice President for Administrative Services, complained that the voting results mean "that 142 faculty have elected SEIU for all 326 in the voting group." He added, "We are disappointed that under the NLRB rules, 44 percent of the voting group determined the outcome for so many others." Though the university orginally contested NLRB jurisdiction over Loyola employees as a violation of religious expression—the NLRB ruled otherwise on Dec. 28—university administrators today did not indicate that a further appeal was being considered, noting only that Loyola would "continue to work through the NLRB processes and procedures in bargaining a contract with SEIU." The vote appears to be part of a micro-trend within the university, which in recent months has seen student demonstrations in support of fair wages and benefits for various university employees. Loyola administration aknowledged receiving a new petition from the NLRB on behalf of SEIU Local 73, which is now seeking to represent 12 faculty within the English Language Learning Program. And yesterday, the university's skilled maintenance staff (maintenance mechanics, plumbers, electricians, etc.) voted to join the International Union of Operating Engineers Local 399. For background on this story: A Bad Case of Jesuit Adjunctivitis? It's good to learn that the SEIU union vote has tqaken place and that it was 142 in favor and 82 opposed to forming a union to be recognized by Loyola U of Chicago. I can only hope that the university administration will cease its senseless grumbling and deal with the union as Catholic perspectives on listening to organized employee representation clearly recommend.